Employees of a potato chip factory in Hong Kong discovered a German hand grenade. More than a hundred years have passed since the First World War. The last veteran who took part in the fighting Claude Stanley Choules who served in the British Navy (later – in the Australian) died May 5, 2011 at the age of 110 years. He was one of the last people who remembered the war years. 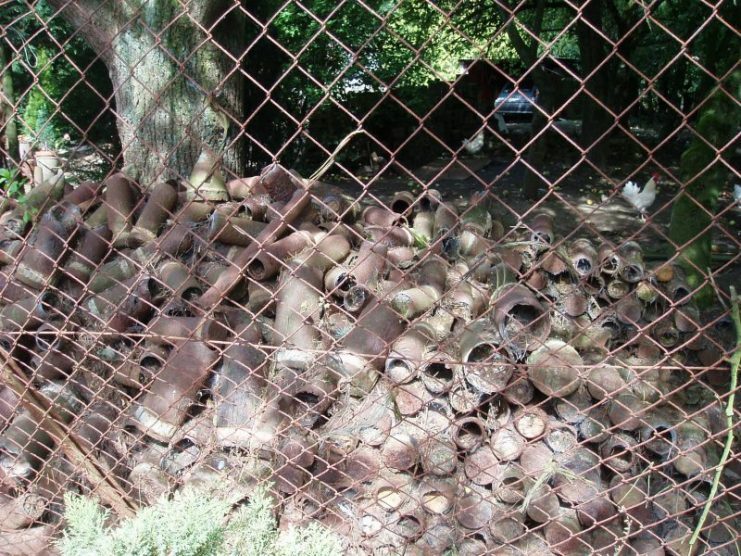 However, nature still keeps the memory of the war and from time to time gives people surprises in the form of mines, shells, grenades and weapons. It can be said that the echo of that terrible time that killed millions of people still comes to our day. 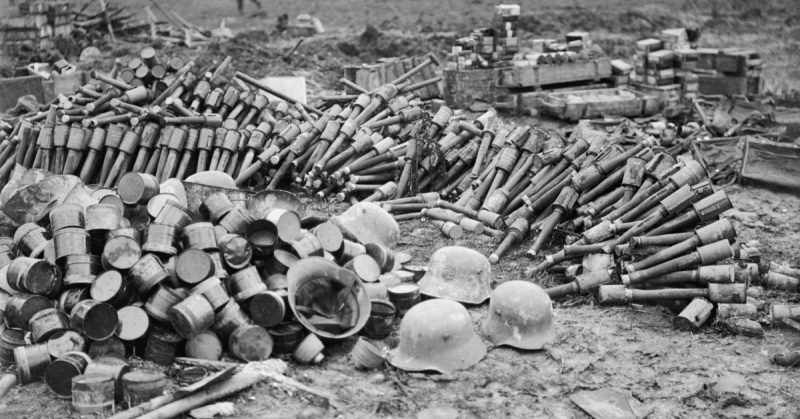 One of these finds was the German Grenade, which was discovered in a batch of potatoes. Employees of a potato chip factory in Hong Kong discovered a German hand grenade from the First World War in a batch of imported French potatoes. The strange and unsafe find was immediately reported to the police. Agence France-Presse (AFP) confirmed that in February 2019, around 9 am local time, a spherical grenade was discovered at Calbee Four Seas plant in Hong Kong, China. The size of the grenade was about 3 inches (8 centimeters) wide, and its weight was about 2 feet (1 kilogram). The Superintendent of the Hong Kong Police, Wilfred Wong Ho-hon, during a conversation with reporters, said that, “The grenade was in an unstable condition because it has been previously discharged but failed to detonate. All the information to date suggested that the grenade was imported from France together with the other potatoes”. Having investigated the grenade, the police came to the conclusion that they were dealing with a German grenade since the war which ended more than a century ago. Most likely the grenade was buried on the battlefield in France, which later became a potato farm. This was reported by AFP referring to the characteristic, potato camouflage of dirt and soil. Hong Kong police are not the first time dealing with old ammunition. But mostly they have to deal with the American bombs that were dropped on the city during World War II in an attempt to dislodge the Japanese invasion army from it. Having ensured safety in the area and having removed unauthorized people, the staff of the Explosive Ordnance Disposal Bureau items bombed a grenade. The explosion was carried out on the territory of the plant and was filmed on video showing how the police are packing a grenade into a drainage canal and then blowing it up. The time-lapse video with the explosion was a kind of demonstration of the professionalism of the Hong Kong police, an exclusive look at the training and a safe ending to this story. Hong Kong police have shared this video on Twitter. The BBC reported that the police used a “high-pressure water firing technique” to denote the grenade. Information about this was also provided by the police on Facebook. Destroying bombs at a distance or using powerful water jets to explode, according to the US Navy, is the method used by destruction experts since the 1990s. Bomb-disposal robots to prevent explosions use a method which consists in high-pressure water jets at exposed wires. Thus, their displacement causes a violation of the critical circuit and a bomb’s power supply making it inert, the BBC reported in 2016. 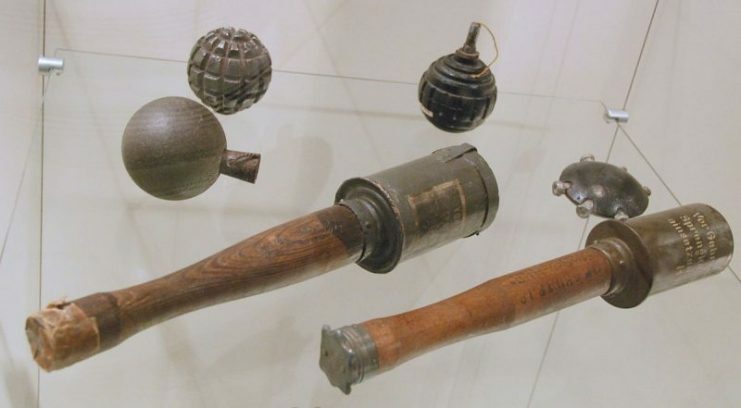 According to the Canadian War Museum, soldiers of the First World War used dozens of types of grenades. It is believed that the Hong Kong grenade was German in origin. 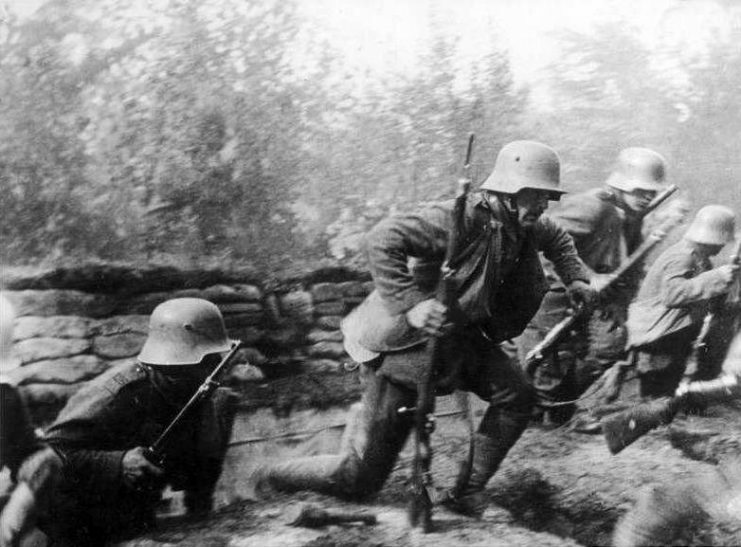 However, the German soldiers at that time, as a rule, a hand grenade with a smaller explosive charge, a lower weight, which made it possible to achieve a greater range of throw. Last year, a bomb disposal squad managed to find and destroy three large explosive items from World War II. Two of these bombs were found at a site in the busy Wan Chai District, where at that time work was underway to build a subway train station. Tourists and builders often discover unexploded grenades or wartime bombs in the southern Chinese city, which was the site of fierce fighting between the Japanese and the British in 1941.